Sommelliers agree, Grüner Veltliner is a wonderfully versatile grape that pairs perfectly with a variety of hard-to-match foods – even corned beef and cabbage! Okay, okay I know you probably have already stocked up on Guiness, Irish whiskey and Baileys and have your green attire all picked out by now, but just hear me out. For the past few months you’ve seen me rave about the array of food pairing possibilities Grüner has to offer – why should this holiday be any different? 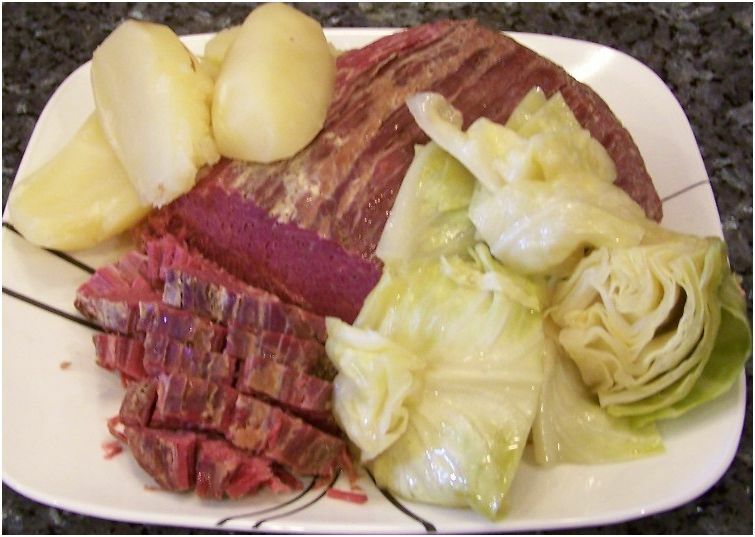 I’m not Irish, but my mother brought us up celebrating every other culture’s holiday through the dinners she cooked (Chinese New Year = Chinese food, St. Patrick’s Day = Irish food) so, naturally, I grew up eating corned beef and cabbage at least once a year. Corned beef is traditionally a very stringy, fatty meat with a lot of salty flavoring and a delectable (if I do say so myself) greasy flavoring and interesting texture. The potatoes and cabbage on the side often take on a similar character as they’re generally prepared in the same pot- this combination needs something acidic and spicy enough to cut through these intense flavors. White’s not your thing? Why not try Blaufrankisch? It’s spicy notes and earth to nes can also compliment a meal like this quite delectably! Vegetarian or just not in to the whole stringy meat thing? 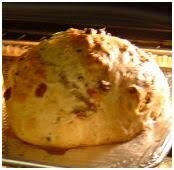 Try out the soda bread (another favorite thing for my mother to buy us at this time.) This simple bread is a mixture of flour, baking soda, buttermilk and salt – the kind we had also was dotted with raisins. For this pairing, try something a little weightier such as Riesling or even the floral Traminer. For red, I recommend the robust, velvety texture of St. Laurent. So try it out and let us know your thoughts! Personally, I’ll be testing out the corned beef and cabbage pairings … saving the Irish Coffee for dessert!